Still alive. Still working on a few random projects that should be seen in the next few weeks. The latest round of Charitymates are now live on eBay, including my Akua Kepeli Tiki Minimate. I encourage you to check out and bid on the customs - there's some really great customs up this year, and the money raised will go to the Red Cross. But please hurry - all auctions end November 9th. In the Halloween spirit of chills and frights, I offer the following new customs for your viewing delights! First up, a custom from the Universal classic movie "The Mummy" - Ardath Bey. He wasn't included this year's assortment of Mummy Minimates, but with a little paint and a custom fez, he can join my collection. Next up is a large group of customs - my version of the Remco Mini-Monsters. The Remco Mini-Monsters were glow-in-the-dark action figures from my youth, and I'm recreated them in Minimate form. And used my glow-in-the-dark paint again. Go check them out, and Happy Halloween! Quick look at a holiday-themed Minimate custom's headwear. 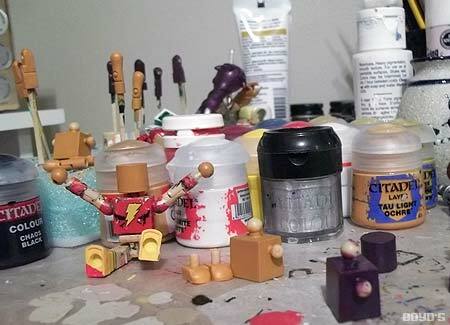 I have a "Customs To-Do" box where I keep custom Minimates in various states of completion. Some customs spend little time in the box. But some customs are not so lucky, and end up lingering in the box. Sometimes they linger for two years, like the unfortunate spider-like four-armed custom I put together back in 2010. I put him to the side, waiting for inspiration on how to paint him. Too bad it took years for inspiration to hit. But enough back story - I proudly present my finished Spider-Slayer Robot. While my custom is an original design, the Spider-Slayers have a long history in the comics. A series of robots designed to capture Spider-Man, the Spider-Slayers were started by one man - Spencer Smythe. Go check out the creator and his creation, won't you? Occasionally I remember that this site has an anniversary, and I take steps to celebrate said anniversary. This usually means I make a post about how it's the site's anniversary, and launch a new site design, which you should be looking at right now. If you're not seeing a green nav bar, please hit Refresh a few times. And for my anniversary, I get to post some of my favorite customs I made this summer. 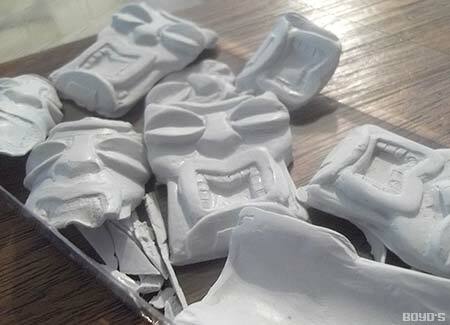 While I was working on my Akua Kepeli Tiki Minimate, I made a lot of copies of his mask. Some turned out a little less than perfect, but I still found a way to use them. I present the Tiki Ghosts, my first attempt at glow-in-the-dark Minimates. Go check out my custom echoes of once-mighty Tiki gods, won't you? Even I'm getting bored with posting S-named characters. So I'm posting my final two characters this week, which should leave me free to post new, exciting stuff next week. But this week I present a custom re-do. I don't often revisit characters once I've made a custom, but the new bulky Hulk parts inspired me. So I present my new custom of DC Comics monster Solomon Grundy. My second custom was inspired by youbastards' great custom - Marvel's Sleepwalker, the alien Mindscape defender. A product of the 90's, Sleepwalker is not likely to become the next great Marvel movie. But he does make a nice Minimate custom. Go check him out, won't you? Yes, I'm still posting S-named characters. There's a lot of them. 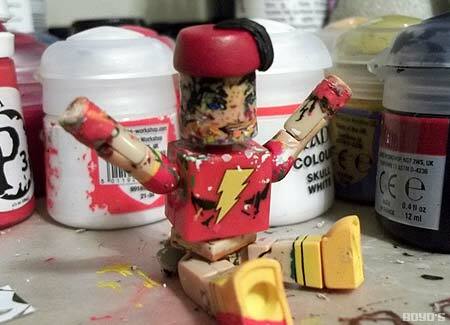 This week I present the DC Comics character Shrapnel. He's an obscure villain, but he's got a great visual, because his body is made up of lots of tiny shards of metal. Easy on paper, but tougher to do with three dimensions. Go see the custom that caused me to glue my fingers together many times! "Characters whose name begins with S" continues with someone who fought Dr. Doom in his first appearance - the Shroud. He may have started as a Batman-like vigilante, but grew into a more unique and highly forgettable character. Go check him out. If you look at my list of customs for DC and Marvel characters, you'll notice that the letter with the most characters is S. That could be because both companies have a lot of characters that start with the letter S. Or it could be an unconscious bias by me towards the letter S. Either way, it seems like a good reason to post more customs with names that begin with S.
Let's start with the Golden Age Sandman, proud member of the Justice Society of America and master of gas. His gas is so potent he has to wear a mask. Many people pass out when he unleashes his gas. Go check him out and see if you can come up with your own fart joke. With the release of the latest TRU wave of Minimates, we now have a Boomer Minimate, and a complete 90's X-Force team in Minimate form. Or do we? Consider the cover for X-Force #1. Notice Boomer on the cover (or Boom Boom, as she's known in the comic)? Is she wearing a bright pink body suit with yellow football pads? Doesn't look like it to me. 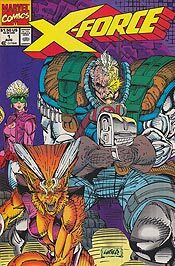 No, if you want a complete, accurate X-Force team, you'll have to customize Boom Boom in her Rob Liefeld pink vest ensemble. Kind of like I did - check out my new custom Boom Boom in all her early 90's glory. After too long of a wait, I'm happy to finally present my Minimate for this year's Charitymates - Akua Kepeli, the tiki god.Please go check him out and enjoy my first attempt at painting wood grain on a Minimate. Since the Puppet Master was announced for an upcoming wave of Marvel Minimates in San Diego last week, it's safe to show my artwork for a Puppet Master custom. I was going to make him soon - now I guess I don't have to. Paint work is done. Now to let it dry and coat it in sealant. 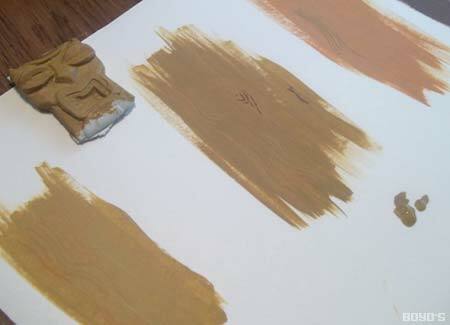 Color studies for my Charitymate. Hey look! It's an update! With a big pile of masks! Huh? By now you've probably seen my Shark Battle Beast, but have you seen my other Battle Beast? No, of course not, because I haven't posted pictures yet. After I finished my shark, I made a second Battle Beast. Not as a contest entry, but because I had an idea, a spare Lockjaw, and a three-day weekend. So now I present my other Battle Beast, the Bombin' Bulldog. He's everything you'd expect from a dog with a large gun on his back. Go check him out, won't you? He's done! My entry for the Battle Beast contest is done! Go check out Surfstorm Shark, the best shark-themed Battle Beast-style Minimate customs every made by me! What's that? 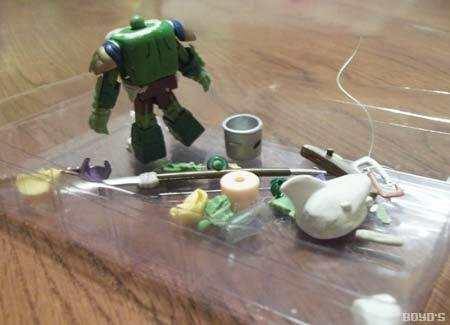 Is that a pile of pieces that could be part of my Battle Beast custom? So what's been happening on my workbench for the last few weeks? Well, this guy has been hanging out, waiting for me to finish painting him. And right now I announce that this will be the week I will do it. Just as soon as I finish up my Battle Beast Minimate. 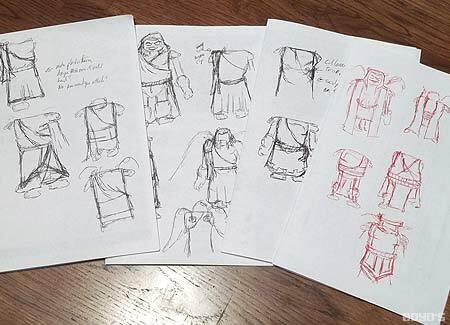 One last burst of preliminary sketches for my Battle Beast entry in the Minimate Multiverse contest. I really should have combined my Battle Beast and Charitymate and cut my work in half. Busy busy busy lately. 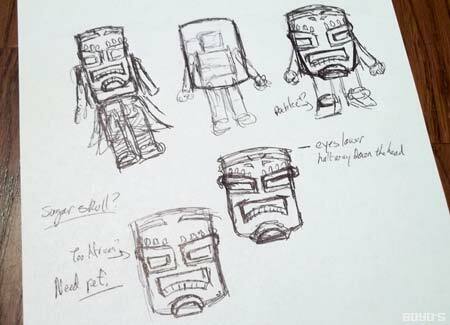 Hopefully I can find more time to post stuff, but for now you'll just have to take a look at my final round of Tiki god ideas. More designs for my Charitymates custom this year. 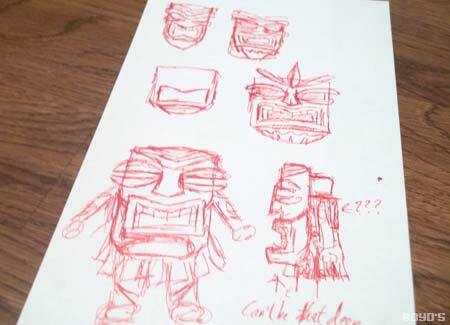 After rejecting the angel monkey idea, I thought about doing a Tiki god, complete with oversized mask. This one I like. Busy busy busy lately. Not a lot of time to work on Minimates or update the web site. But I can find some time to make plans for future Minimates. 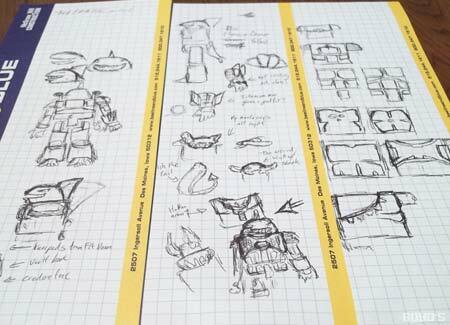 In the photo above are notes for the Battle Beast contest currently being held at the Minimate Multiverse. Going to try to make mine look like an old school style Battle Beast, but without the rub sign. 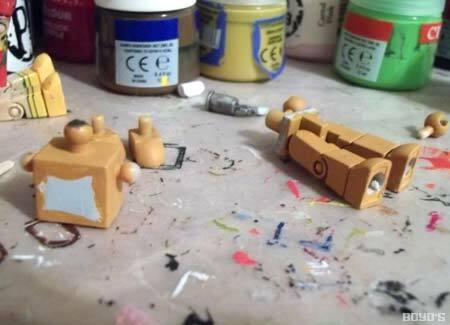 The annual Charitymates event is on, taking Minimate customs and putting them on eBay to raise money for charity. This year the theme for the customs is gods and mythological beasts. The above photo is for my first idea for a custom, an angel monkey. While it doesn't tie into any gods of myths that I know, I thought it made an interesting design. 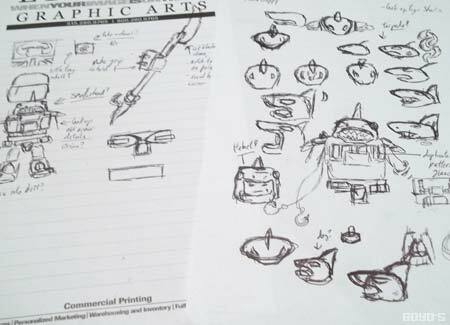 I may revisit it again someday, but this design isn't going to happen for this year's Charitymates. 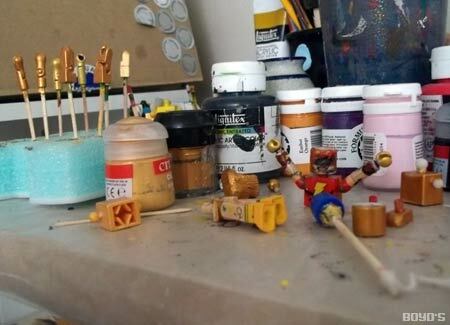 It's Tax Day here in the US, so I'm painting some Minimates gold and sending them in as payment. Hopefully the government falls for it. Recently there was a Minimate two-pack released featuring a SHIELD agent. Since the SHIELD Agent is a popular army builder, a lot of people (like me) bought a lot of them. That means a lot of people (like me) ended up with extras of the other character in the two-pack, trusty newspaper publisher J. Jonah Jameson. Now, Jonah is not an army builder, so what do you do with a bunch of extra Minimates in three-piece suits? Customize other characters in three-piece suits, of course! First up on our J. Jonah Jameson makeover list is longtime supporting character and career bureaucrat Henry Peter Gyrich, a man who likes order and dislikes super-heroes. Go check him and his law-abiding ways out, won't you? 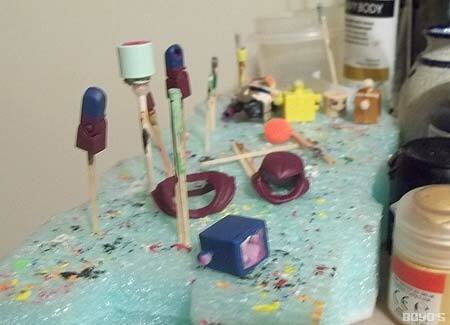 Now that I've posted my Guardians of the Universe customs, I wanted to share this old work-in-progress shot of them. Like all things, our run of Green Lantern customs has come to an end. And our final two customs take a look at the management structure of the Green Lantern Corps. After all, there are a lot of Green Lanterns in the universe, and somebody has to be in charge of them. Someone has to be recruiting new members, ordering new power rings and making sure the Main Power Battery is charged. And those people are the Guardians of the Universe. The Guardians are an alien race of blue dwarfs. A typical Guardian of the Universe suppresses their emotions and remain aloof from the Lanterns, except for the Guardian named Ganthet. 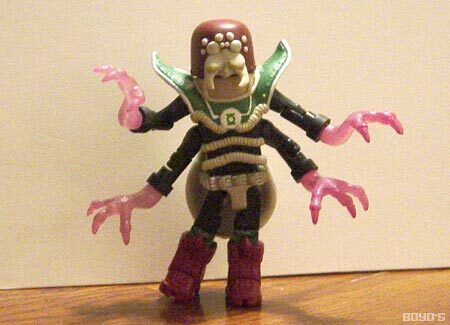 Ganthet acts human-like, showing concern for Lanterns, and has been known to get involved in dangerous situations. He also has a bitchin' ponytail. Go check them out, won't you? The man called Boyd is really Jeff Stephens, a graphic and web designer. Outside of coloring some of his old G.I. Joe figures with markers when he was younger, this is his first foray into custom figures. He currently lives in the Midwest with his biggest fans, his wife Sarah and daughters Faye and Norah. 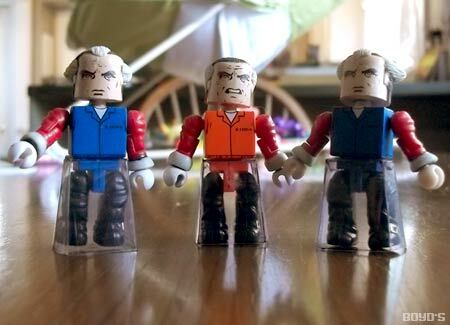 Minimates are a 2" block-style figure made by Diamond Select Toys. Their simple forms make them the perfect canvas for a variety of properties, including super heroes, video game characters and movie stars. of Jeff Stephens. 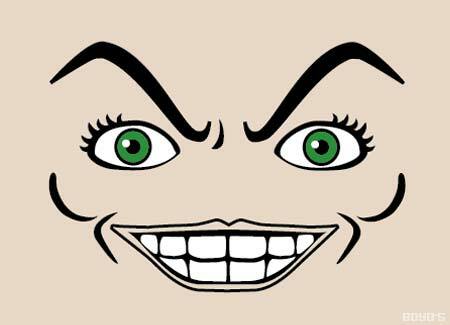 Licensed character names and images are copyright © their respective companies.